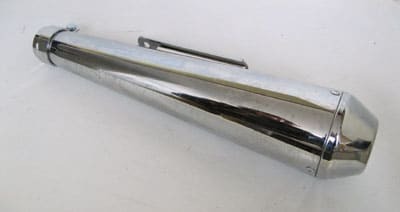 Megaton Muffler, total length 44 cm, inlet diameter 44,5 mm. Can be reduced to 38 mm, 40 mm or 42 mm, material included. Is useable for right and left side.